These doors are absolutely beautiful with original finger plates and hinges , the pictures above do not do them justice and need to be seen to be appreciated! They would make any doorway, be it a house or apartment dividing a room or a grand hallway, internal porch or internal courtyard would look amazing and definitely make a statement!!! 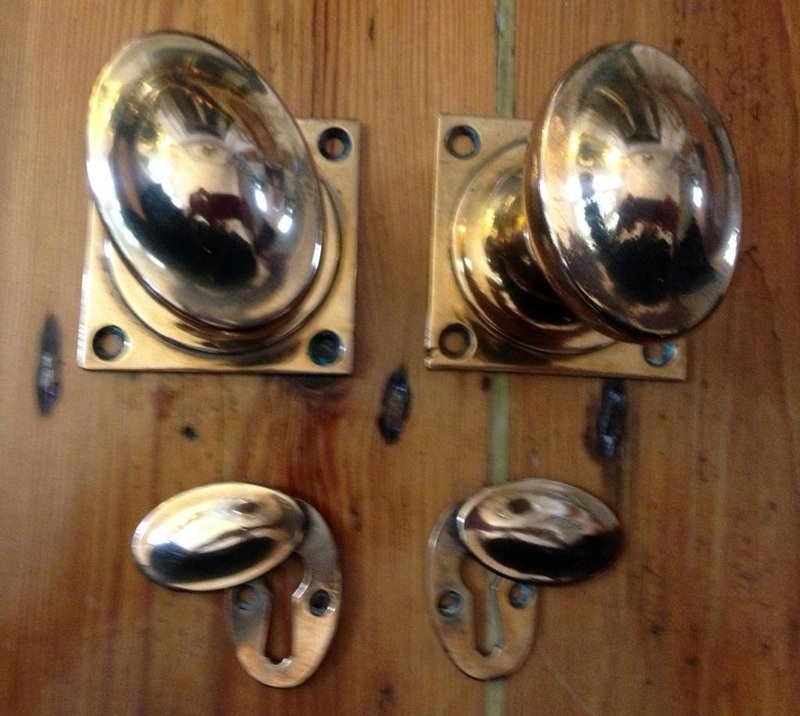 Doors are in good condition with some normal wear and tear, please remember their old and used, shipped from France to the UK and installed in a prestige house in North London for many years, removed and now their mine and now need a loving new home...phew! Viewing in person is advised with prior arrangement and buyer to pick up, thank you. Handsome Cast Iron 18th Century Fire Surround that is big, bold and just stunning! A really elegant previously used pine fire place surround that came from an apartment in St Johns Wood and is in good condition with interesting detail, looks great as is or painted! Good condition, please note this does not include the marble insert! 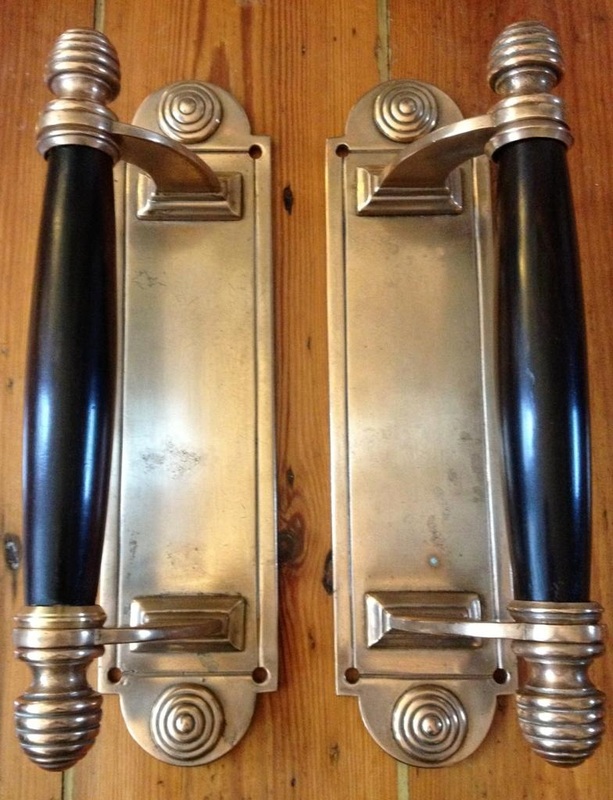 A pair of stunning old and very heavy solid brass and Ebonised wood pair of door pulls, they would make any door look very grand!